When you start searching for volunteer abroad placements, it can be difficult to know where to go. There are projects in so many destinations around the globe, so how do you decide where your efforts are needed most and what countries are going to offer the most exciting experiences outside of volunteering? To help you plan, we’ve come up with some of the best places to volunteer, combining worthy humanitarian projects with captivating in-country attractions. Occupying the western part of Hispaniola Island, Haiti is one of the poorest countries in the Caribbean region and has been devastated in recent years by both earthquakes and hurricanes. It has made international headlines for the catastrophic damage and cholera outbreaks that have resulted from these natural disasters, with volunteers in high demand to help rebuild towns and villages across the country. During Build Abroad’s Haiti program, participants have the rare opportunity to build an entire house from start to finish in as little as one week. The project is based in the rural village of Pignon, working alongside the local community to dig foundations, construct walls, install windows and roofs, as well as paint the completed dwellings. During this week-long experience, you’ll discover that Haitians are a resilient people and determined to rebuild their communities and lives. Once your placement is complete, there’s so much to discover in this fascinating country, which is why it’s one of the best places to volunteer. Haiti is home to captivating 19th-century citadels and a rich slave history, with lively carnival celebrations to experience. The cuisine fuses African, French and indigenous Taino influences, while the culture draws on distinct Vodou traditions that make it like nowhere else on the planet. Once home to the mighty Mayan Empire, Guatemala is today the most populous state in Central America. It’s scattered with ancient ruins and communities that are understandably proud of their indigenous culture. But Guatemalans are also doing it tough, with inadequate housing and school infrastructure an issue across the country. Build Abroad bases its projects in the charismatic city of Antigua, renowned for its Spanish Baroque architecture and cobblestone streets. It’s not only a safe and welcoming city but a great place to discover the unique Mayan-influenced culture of Guatemala while you assist on vital building projects in the surrounding communities. Spend your weekends exploring Volcan Pacaya or Volcan Acatenango that rumble on the outskirts of Antigua or attend an artisan workshop to learn about traditional textiles, jade and woodworking. Once your volunteer placement is complete, you can venture further afield to explore the jungle-swathed ruins of Tikal, go shopping in the indigenous markets of Chichicastenango and relax on the beautiful shores of Lake Atitlan. Located between the Pacific Ocean and the Caribbean Sea, Costa Rica is one of the most stable countries in Central America. It boasts idyllic beaches, lush rainforests and sustainable environmental policies that have seen it blossom into one of the world’s leading eco-tourism destinations. But away from the tourist hot spots, many of Costa Rica’s inland towns and villages lack adequate development, with makeshift housing in and around the sprawling capital, San Jose. Volunteers are needed for building projects to construct homes, schools, women’s shelters and orphanages for local communities while experiencing life in this beautiful country and meeting the friendly locals. Once your placement is complete, hit one of the coastlines to soak up the sun or learn to surf Costa Rica’s legendary waves. Soak in the hot springs at the base of Arenal Volcano and visit a local coffee estate to see how the country’s premium Arabica beans are grown. Go hiking through the lush cloud forests, trek to witness the turquoise crater lake of Poas Volcano or wildlife spot in one of the many national parks that protect Costa Rica’s stunning landscapes. Sprawling between the snow-capped peaks of the Andes and the rugged coastline of the Pacific, Peru is one of South America’s most visited countries. It’s home to the UNESCO World Heritage-listed “Lost City” of Machu Picchu and the mysterious Nasca Lines, as well as its own tract of Amazonian jungle to discover. But despite the tourism dollars flowing in, many communities in Peru are still without adequate infrastructure and volunteers are desperately needed to help build schools. Build Abroad bases its volunteer abroad projects in the charismatic city of Cusco, which once served as the capital of the Inca Empire. It’s the gateway to the magnificent Sacred Valley (and Machu Picchu), as well as being packed with excellent museums, cooking schools and a pulsing nightlife. While you’ll be working hard building in the mornings, in the afternoons you’ll have time to visit the ruins of Sacsayhuaman on the outskirts of Cusco and go shopping in the traditional markets. Once your placement is complete, why not trek the famous Inca Trail to Machu Picchu or visit the fascinating reed islands of beautiful Lake Titicaca. Go sandboarding in the desert oasis town of Huacachina or wander the whitewashed streets of Arequipa, then watch condors soaring on the thermals over the spectacular Colca Canyon. Backed by the snow-capped peaks of the Himalayas, Nepal has long lured adventurous travelers and trekkers. It’s home to captivating cities and cultural destinations, as well as the wildlife-filled lowlands of Chitwan National Park. But the country was brought to a standstill by the devastating earthquake in 2015 that flattened countless villages and even World Heritage-listed destinations like Kathmandu’s Durbar Square. 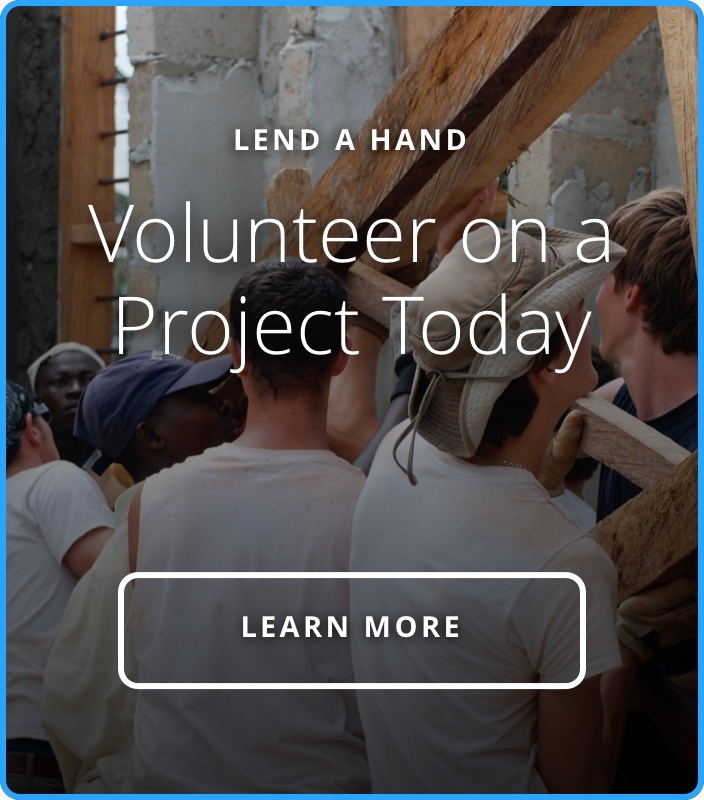 The rebuilding efforts are ongoing, with volunteers still needed to help build housing and infrastructure that will withstand any future natural disasters. Build Abroad’s volunteer abroad placement is based in Kathmandu, with projects in the surrounding Himalayan villages. Many of these communities are quite remote and have limited access to supplies and labor for building schools and homes. This means that trekking through spectacular Himalayan scenery is just part of a day’s work, which is why Nepal is one of the best places to volunteer for adventurous individuals. On weekends, you’ll have plenty of time to explore the cultural wonders and religious sites of Kathmandu and the nearby towns of Patan and Bhaktapur, renowned for their traditional Newari culture and artisan workshops. Then head into the mountains for a multi-day trek through the Annapurna Conservation Area or beautiful Langtang National Park once your placement is finished. Travel to the believed birthplace of Buddha at Lumbini, spot elusive royal Bengal tigers and one-horned rhinos in Chitwan National Park or get your adrenalin pumping while paragliding or white water rafting in the lakeside town of Pokhara.